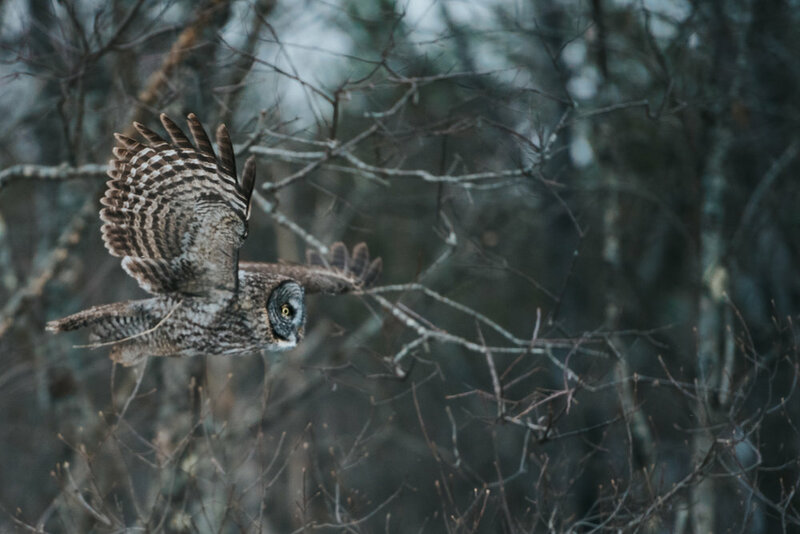 I spent 3 different days in Newport, NH observing the Great Gray Owl that is visiting. 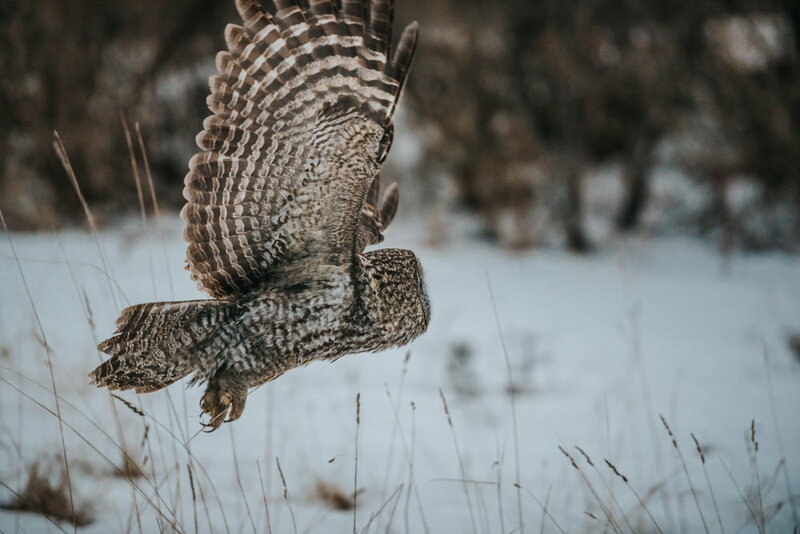 The first day, I was hesitant to set my alarm for 4:30am, but also excited for the potential to see North America's largest and rare owl. 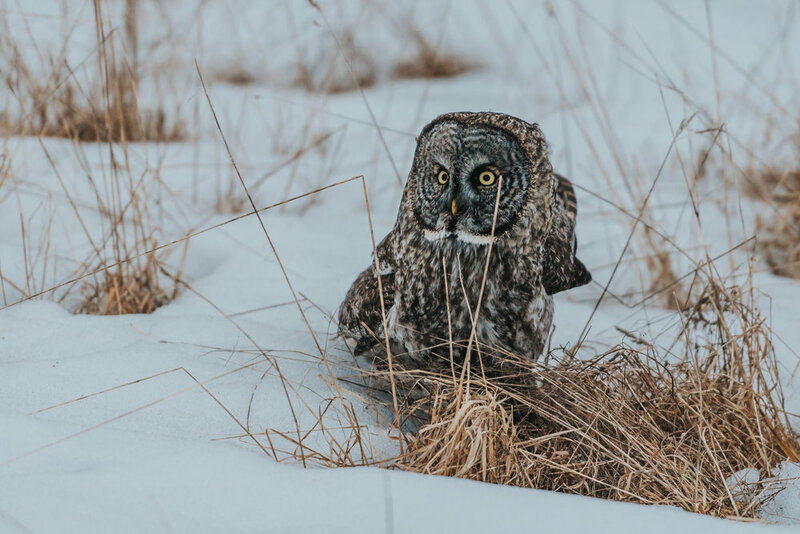 A Great Gray Owl has been lingering in a large field in Newport, NH. With some help from fellow birders and a little luck, I was able to find this beautiful bird of prey. There was a group of people already gathered in the field when I arrived. 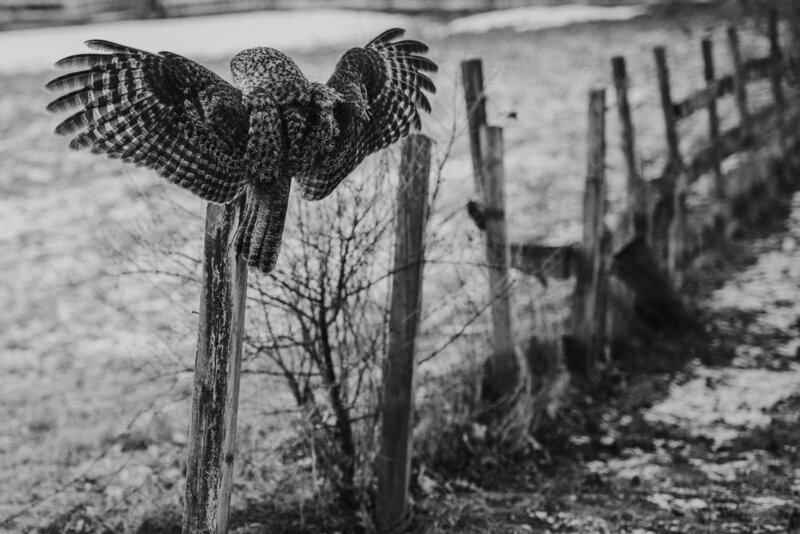 After about 10 minutes of observing the owl, it decided to fly down to the ground about 10 feet from us. 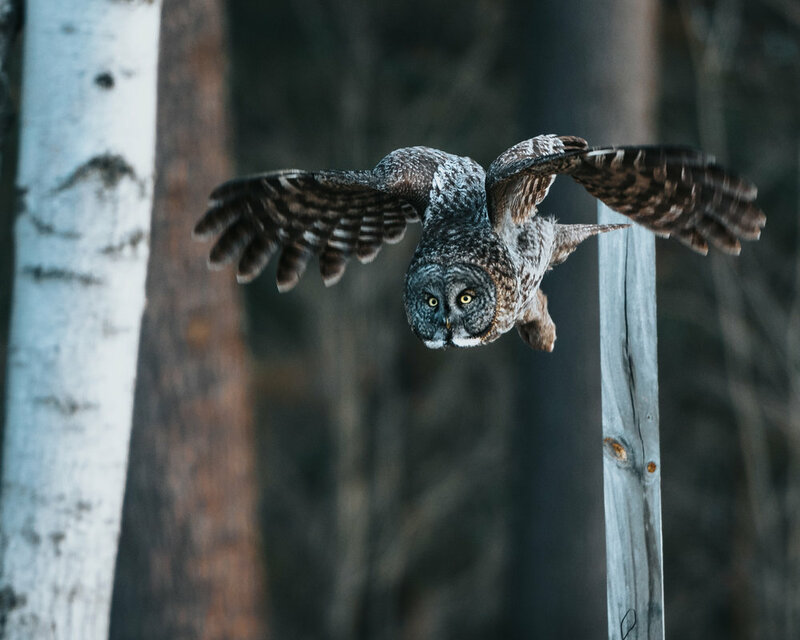 I managed to capture some great images, but am planning on going back tomorrow to photograph and observe the owl some more. The second visit was during the evening just before a snow squall rolled through. 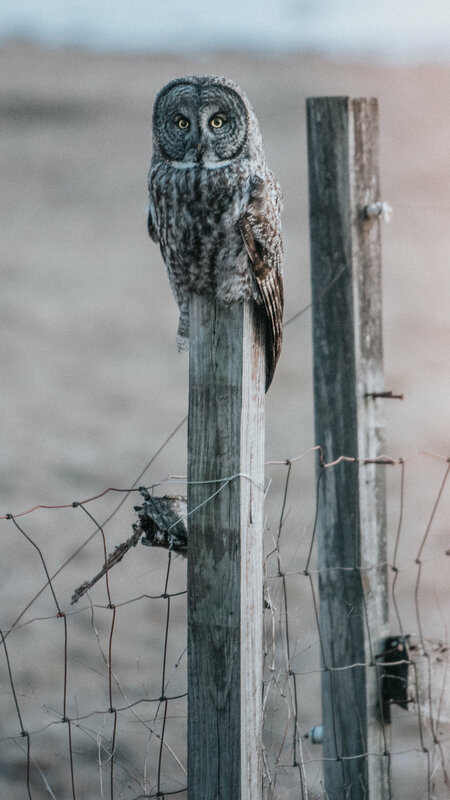 My wife, daughter and I found the owl in a field next to an airport slightly north of where I found him before. There were only 2 other photographers there as the light was fading. I cranked my ISO and managed to get some beautiful images in the horrible light. After only about 15 minutes, everybody left to let the owl hunt in peace. My third day, I had a photographer friend, Steve Pouliot, join me on the hunt. We were some of the first people to spot the owl that morning. 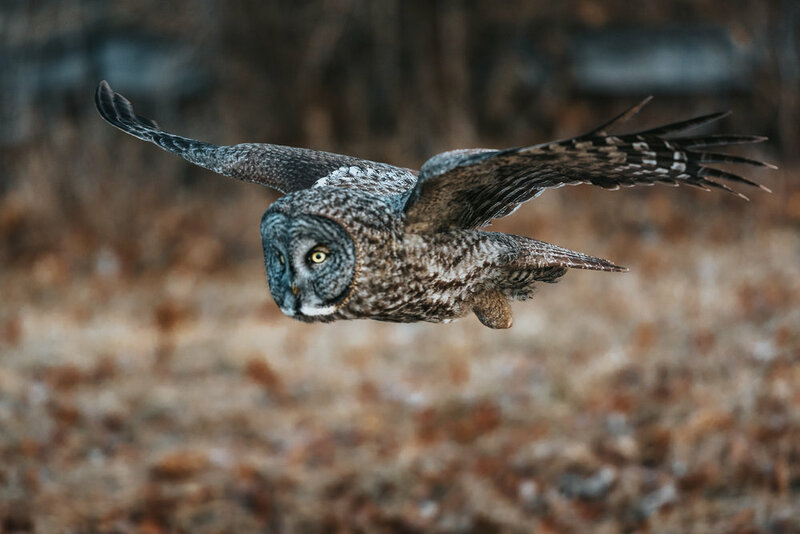 The owl flew from perch to perch and allowed me to get some nice flight images. 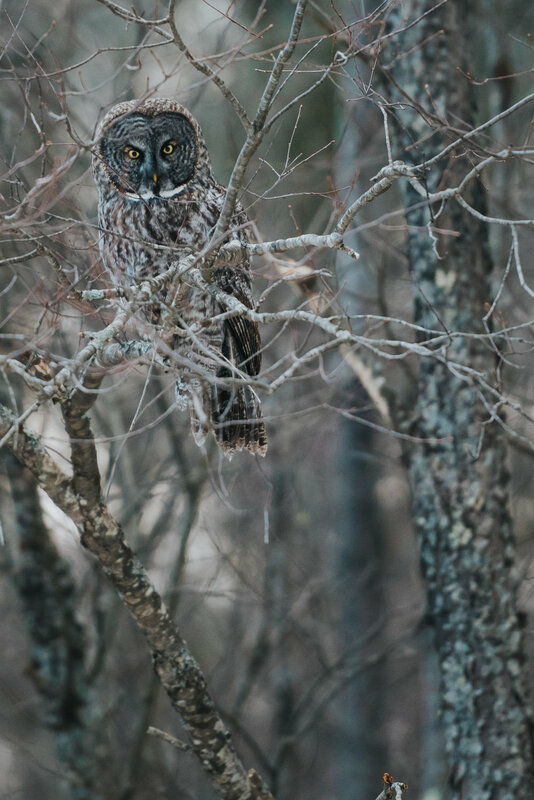 The owl eventually ended up roosting on a branch about 3 feet off the ground by an old deciduous tree. We hung out for about 40 minutes waiting for it to move, but had to call it. The cold weather forced us back into the warmth of the car.